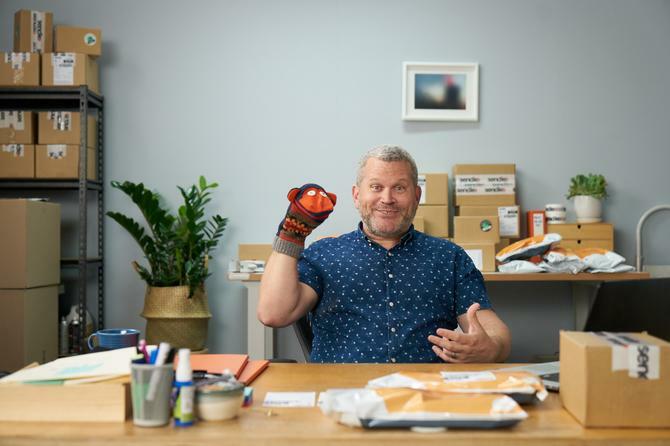 In its latest shot over the bow of Australia Post’s delivery monopoly, Sendle has launched its first-ever brand campaign. The launch comes after Sendle successfully trademarked ‘Post Without The Office’ after Australia Post took the company to court. The campaign is a first for the three-year old delivery startup, which launched in November 2014 and has grown to become a legitimate alternative to Australia Post for parcel delivery. The campaign, 'Why post when you can Sendle?' is aimed at Australian SMEs and will feature on pay TV channels, You Tube, Facebook and on Sendle channels, and will run for six weeks. Sendle’s mission to unlock the power of big business logistics for those at the small end of town has already struck a chord with tens of thousands of small businesses in Australia, helping Sendle grow 20 per cent month-on-month for 18 consecutive months. Craig Davis, co-founder and CMO of Sendle, said the brand campaign aims to position Sendle as a top of mind competitor to Australia Post for small business parcel delivery. “Australia Post has been around for a long time and have a huge presence. We don’t, so we need to ensure customers know we exist,” Davis told CMO. Davis explained Sendle has put a lot of time into developing the campaign idea and after an initial six-week burst, will use data and metrics to measure the campaign success before deciding where they will go from there. “From our raw beginnings of setting up a sharing platform, we realised early on we needed a logistics system to satisfy the needs of our users on the sharing platform. And through listening to our users, we stumbled into a whole world of other problems and the level of friction involved in parcel delivery, how difficult this can be particularly for small businesses. From there, we identified 13 pain points in Australia Post’s business model, and we focused on solving those problems,” Davis explained. “This is an ongoing challenge. We recognise a need to maintain that. We’ve got a good understanding of our customers and their requirements, we use data, we have conversations, all of which are respectful and open. But everything changes. We have to continually go back and ask what our customers care about, and what’s painful for them." To gauge marketing success, Sendle is using a combination of measurement approaches including Google analytics, plus support and design team feedback to better understand from customers how it's resonating. Platform analytics and site analytics will also come into play. Davis confirmed Sendle has appointed a business analyst to better understand broader things happening in the organisation. Initial feedback about the campaign has been strong, he said. The campaign stars Australian actor, John Batchelor, as a small business owner dealing with the everyday struggles of running an online retail company, such as wasting time lining up at the Post Office, juggling multiple orders, and making sense of Australia Post’s complex pricing schemes. The business owner’s sock puppet, Wendell, puts him at ease by explaining how Sendle can help alleviate these challenges. “We have no doubt this campaign will support us in championing choice in the market for Aussie small businesses. Hopefully, it will also empower more small businesses to choose a delivery partner that will help them compete in a rapidly changing ecommerce ecosystem,” Davis said.